A manly name or what? 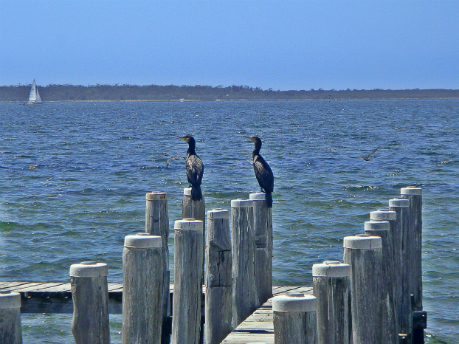 Despite its lack of manly name, I took a great photo of a pair of birds on one of the floating docks. The weather as usual was stunning!